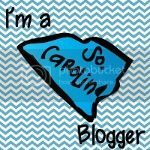 One of the reasons I've been such a bad blogger of late is because I have been busy, busy, busy!! As if teaching doesn't keep me busy enough, I have been working on a TON of units that have been "in the works" for a while! I needed to get these off my plate because I have a never-ending list of NEW ideas to start working on, too! So, here's a look at just a couple of our brand-spankin' new units....and, of course, a chance to WIN them, too! It's no secret that I LOVE to teach writing. There's just something about a seven-year-old putting his voice down on paper - and the pride that they have once their hard work is acknowledged. 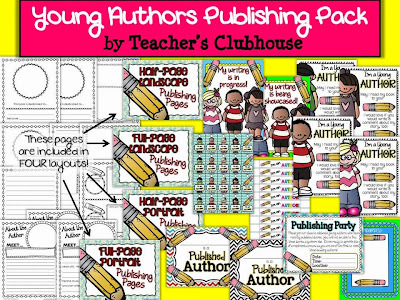 This little pack is everything you need to have your young authors publish his/her stories and share them with an audience. 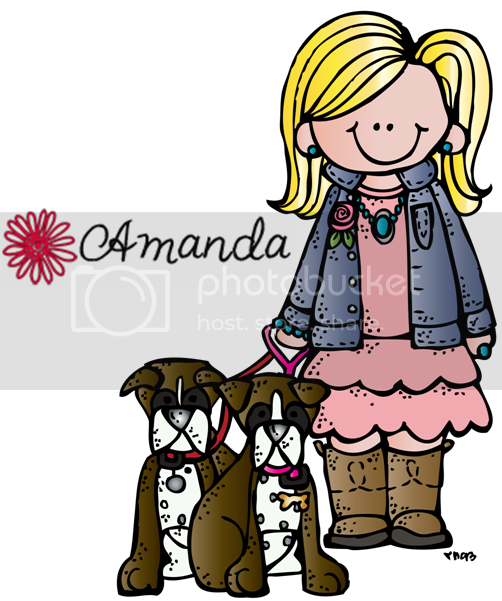 It includes publishing pages (story pages, title pages, dedication pages, about the author pages, feedback pages) in both landscape and portrait and full-size and half-size. It also includes bracelets, necklace tags, and certificates so you can celebrate the new author's accomplishment! But my favorite pieces are the "sharing bag" pages that let the young authors take their books home to share with families and the Publishing Party pages - students love to show off their work! If you'd like to win all of this (and more), just comment on this page to let me know how you feel about teaching writing. What is your favorite thing, or LEAST favorite thing about it? I'll pick a winner from the comments and announce on Friday...with a new linky - come join in with your Friday Favorites! 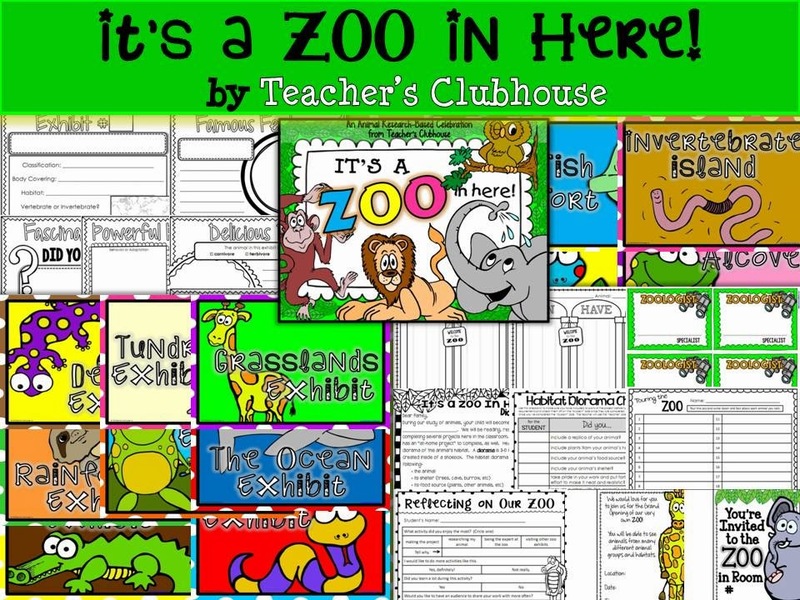 There are graphic organizers that students will use to create an "exhibit sign." 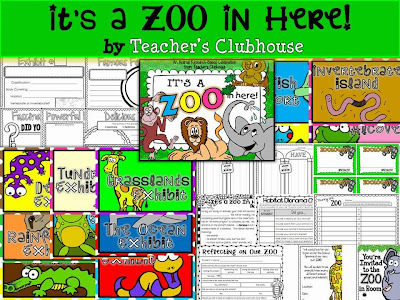 There are signs for labeling sections of the zoo (either by animal classes or habitats), zoologist nametags (PDF fillables), a diorama project letter and checkbric, zoo invitations (PDF fillables), a reflection, and more! To win the "It's a Zoo Unit" hop on over to our Facebook page - "like" us and comment on the giveaway post there to win! I'll be sharing even MORE of our new units later this week! I teach second grade too, but this is only my second year to teach writing because it's been a special before now. I am borrowing some of your writing ideas that you posted about, I think it was last year. Your how to lesson was great. I had them writing about how to swing. The first couple I ended up sitting on the ground, or trying to climb up the pole of the swing set. Thanks for all the great ideas! I do enjoy teaching writing. My favorite part is conferencing with each writer. I LOVE their invented spelling - a nice way to laugh at the cuteness of their phonemic awareness. I dislike writing rubrics. There may be something wrong with me, but they always seem too vague. I love showing exemplars for graders, but rubrics, not at all. I am having the hardest time with informational writing. Today, we threw (in the garbage) everything we had work on last week. If you have any informational writing resources you recommend, I am all ears. Writing is my absolute favorite to teach! I think it's because I have always been an avid writer, it was even my college minor. I think I enjoy teaching it so much because I loved writing growing up so I get excited to share that with kiddos! There are just so many possibilities with writing. Writing is the hardest thing for me to teach...which is strange because growing up I loved it. I love to read finished stories/products from my kids, but teaching it has always been hard for me. I've been trying to be better at it and more deliberate in teaching the writing process and not skipping steps all the time. Products like yours have been a huge help in helping me improve my teaching, so thank you so much! I LOVE to teach writing! My first graders have so much to say but at times have a hard time getting it down on paper. It is so rewarding to guide and support them along their writing journeys. I love to teach writing to my second graders. The biggest challenge I find is TIME. I enjoy listening to them share with they've written with one another. I love teaching writing but I need more ideas and activities! Your packet looks great! I teach Science to over 385 kiddos. I integrate writing into each of my hour long lessons. I love your writing ideas and use great short answers to practice answering questions that are scientific. Your theme ideas are great. Thanks for sharing! I teach 2nd grade and I do not like teaching writing! We don't have a good structure at my school and it's quite boring. The thing I find most difficult is to spark imagination and motivation to write! With all these videos games and tv shows, they left nothing to the imagination. I never liked writing growing up -- so as a teacher I am trying to ignite the passion for writing within myself so it can shine through to my students. I especially disliked poetry, but am reading, "Love That Dog" with my students and they are loving it. It is great to see students get inspired and what they can then go and create on their own. 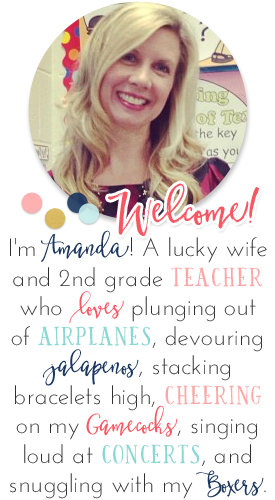 I find teaching writing challenging because I feel I need to divide myself into about 3 people to keep up with my kiddos who want to conference. This year I'm trying more small group instruction to see if it helps. For sure I find celebrating their learning and providing the means to share their writing is crucial. I love seeing the progress my 1st graders make in their writing and watching them as they enjoy the process.